I love Christmas music almost as much as I love Christmas presents spending time with family over the holidays. Nine out of ten playlists I make have a Christmas song in the mix. Although I believe that decorating for Christmas in October is a crime, listening to Christmas songs in October to get in the spirit is not. My love for Aretha Franklin knows no bounds. 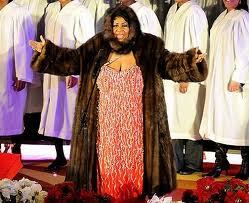 She sang Joy to the World at the lighting of the Rockefeller tree in 2008 and brought the house down. For my money, it doesn’t get any better than the diva of soul with a gospel choir. Unfortunately, many people remember her outfit more than the performance. Luckily, my love is unconditional. Eef Barzelay’s version of Joy to the World couldn’t be more different, but I love it all the same. It’s haunting and slow but sincere. I love this version year round. Whitney, I forgive you for the drug abuse, your appearance as the Fairy Godmother in the made for TV version of Cinderella, Bobby Brown, and the short-lived comeback last year. This holiday song and the dozens of other timeless classics mean that I love you forever. Mariah Carey nails it. Obviously. I confess that this version by pretty-boy Josh Grobin and Brian McKnight makes me weak in the knees. Brian McKnight’s verse is just plain bossy (0:54-1.19). Over and over again. And again. I love this winter tune. 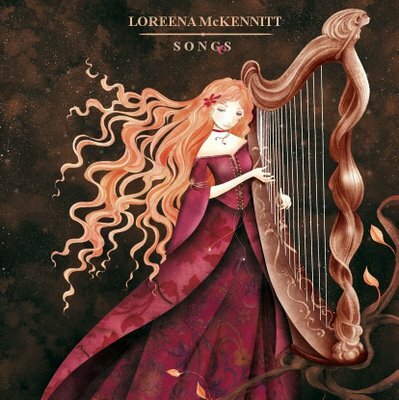 I love Loreena McKennitt. I love when the two collide. If you aren’t familiar with Loreena, just know that she lives with Enya in The Shire. The video below is confusing to me, so just listen and ignore the slideshow of angels and provocatively dressed Gothic women. I assure you that Loreena had nothing to do with the production of this clearly unofficial video. The Mediæval Bæbes isn’t what I would name my girlband, but there is no denying that their version of this song is the best. Done very well by Celtic Woman (Indulge your guilty pleasure and watch the full-length PBS Special). I know this list just skims the surface of the treasure trove of holiday delights, so please let me know about stand-out versions of your favorite Christmas songs that are worthy of year-round listening. And do stop by when you are caroling! I adore Christmas music too. My two favorites are Baby, It’s Cold Outside and Silent Night. I cannot hear Mariah Carey’s “All I Want for Christmas” without thinking of you…given the frequency with which I listen to it between Tgiving and Dec 25, it’s getting kind of awk. You’d be wise to tune into ABC right now–for Mariah’s Christmas Special. Merry Christmas, indeed.